Since its launch last August, the Do You NO the Limit? project has been touring several Quebec cities and was presented this week in the Northern Quebec town of Chibougamau. 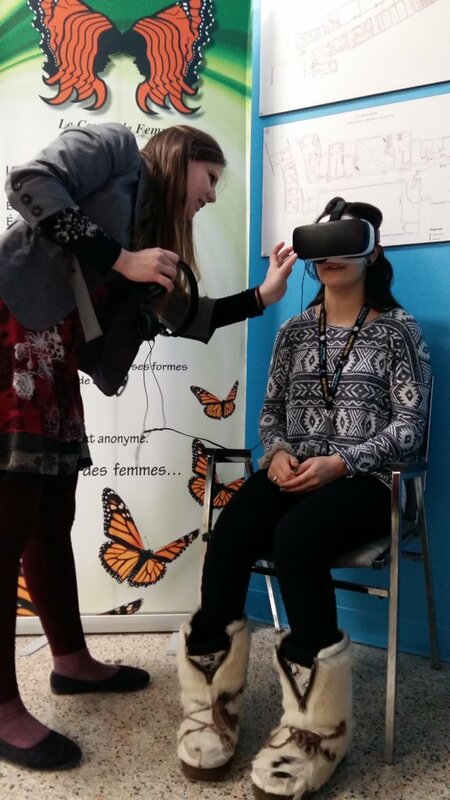 Thanks to an invitation from the Centre de Femmes Les Elles du Nord, project agents Laurence Arbogast and Stéphanie Coronado-Montoya flew more than 650 kilometers to facilitate the virtual reality kiosk and sexual consent discussion groups, and to sensitize young adults and other Chibougamau citizens to this important issue. In addition to the 90 students of Centre d’études collégiales de Chibougamau, Do You NO the Limit? was presented to high school students as well as youth workers from the region’s organizations and associations. The message about the limits of sexual consent was well received by the participants and allowed 62 young women as well as 26 young men to undergo this virtual reality experience. Close to 30 people also participated in discussion groups, which helped begin a dialogue and share different perspectives on this subject. To date, the 360° of consent kiosk, funded by the Secrétariat à la condition féminine, has surpassed its initial attendance target of 1500 participants. Follow the project’s Facebook page for future tour dates. Laurence Arbogast, from Youth Services, installing 3D glasses on a student. 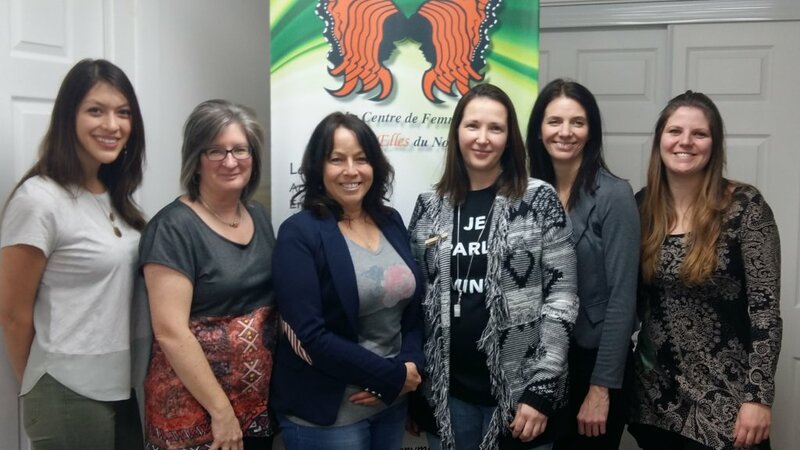 On the sides : Stephanie Coronado-Montoya and Laurence Arbogast from YWCA Montreal, and from left to right Janique Plourde, Linda Boulanger, Pascale Langevin and Isabelle Jutras from Centre de Femmes Les Elles du Nord.